“What’s this?” She pushes the bookshelf to the side to get a closer look, revealing a small trapdoor. Always a curious one, she opens it and climbs through. Have you ever wanted to begin a gorgeous customization but only have 20k to your name? 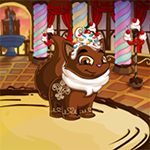 These are the best backgrounds for under 20,000 Neopoints. All movement ceased and a hush fell over the great hall. Even the fluttering of wings had been snuffed out like a candle flame.